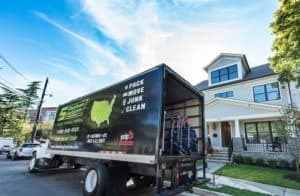 Should I hire a moving company that is licensed and insured? We get this question quite a bit. And the answer can vary depending on your needs. We always do everything we can to do the right thing and follow the rules. They are put in place by agencies like the Department of Transportation or a State Utility Company for a reason. Licensing and Insurance requirements are here to protect you as a client. There are plenty of horror moving stories out there of predatory charges or excessive damage or even lost shipments. These requirements are put in place to weed out these companies and promote those moving companies who pride themselves on honesty, humility and hard work. These rules also are in place to benefit companies who abide by them. It helps keep us in check to ensure we are always putting the customer first, maintaining our fleet to the highest standards, keeping our crews highly trained and motivated, keeping our drivers safe and making sure we have the most up to date moving equipment. So its win win for everyone to follow the rules and maintain the necessary moving insurance and moving licenses. Under state regulations every licensed carrier is required to carry auto, cargo and general liability insurance. We also carry workers compensation and commercial truck policies. Ask ALL of the companies you are soliciting quotes from about their coverages. Many apartment complexes will require a Certificate of Insurance (or COI for short), so be sure to ask your concierge or building manager what the requirements are as they vary by building. Our insurance carriers can get an updated COI for you with same day turn around! If you are in a state that requires a moving license and you hire an unlicensed mover, they likely will not operate up to the same standards as those with licenses. Regardless of who you choose to be your mover, always ask questions! If your mover starts to get frustrated with your questions, that may be a sign they will get frustrated with your move too! Are you insured? Do you carry Workers Compensation? What is the process for a damage claim? Do you have a DOT and MC number? If a moving company can answer those, then you are off to a good start. In moving, our goal is for our customer to feel comfortable about their transition. Moving can be stressful, so our job is to make it as easy and enjoyable as possible! Typically every moving company protects you against damages up to $.60 per pound. Some states are $.30 per pound. So if a piece of furniture gets damaged and weighs 100 lbs then we cover you for $60.00. Additional coverage is available as well. Read more about our valuation and standard coverage by clicking here.